Bush League Breeders Club - See photos of the stunning eastern indigo snake that Daniel Wakefield found in central Florida. 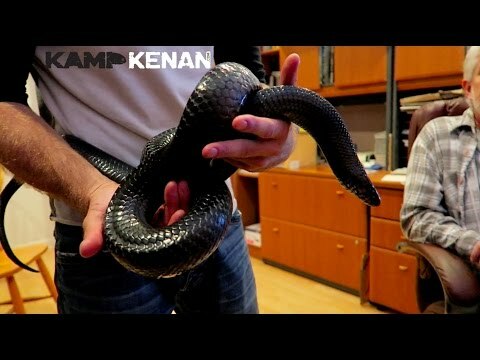 YouTube - Kenan Harkin checks out an awesome eastern indigo snake at Busch Wildlife Sanctuary. Reptile Forums UK - Some neat close up photos show off the fiery face of a member’s young, stunning Eastern indigo snake. RedtailBoa.net - A neat John White portrait captures the elegant features of this stunning Eastern indigo snake.